If you are after a sports bar, dance bar, singles bar, gay bar, cigar bar, backpacker bar or karaoke bar, you will find what you need in Berlin. Some are open 24 hours so you can finish your Berlin partying experience watching the sunrise. Berlin’s Bars vary in size and style, so depending on your mood you can find a secret door to a modern room with silver furnishings and beautiful people, or a smoky little living room where the music is low and the conversation hushed. 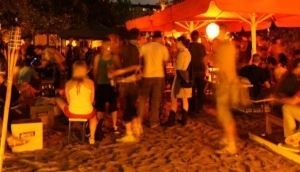 Check out My Destinations list of bars for an unforgettable Berlin evening.